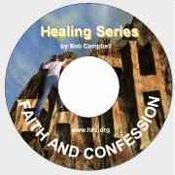 God's principles of faith and confession unlock the supernatural to work for you! His spiritual, physical and financial provision is available to every believer, but you must understand the methods God has set in motion for your success. In this profound look at the Scripture, Charles Capps reveals how to release God's goodness in your own life. He clearly outlines that speaking the truth of God's Word, even when times are tough, works together with our faith to bring victory every time! Confessing what God said in His Word out of a heart full of faith will bring God's supernatural intervention. The balance of faith and confession working together is essential for living the abundant life that God has promised. Brother Capps also explains these principles: How the law of faith works The difference between confession and a lie How to receive God's provision Using wisdom when acting on faith How doctors and medicine work with faith for healing God has the answer to every problem you may face, but understanding how His spiritual laws work can mean the difference between life and death. Find out the important truths of Faith and Confession that will bring victory to your life!